The following information about Autosomal Dominant Polycystic Kidney Disease is gathered from public domain resources and is in no way medical advice. Please consult your nephrologist for all questions regarding ADPKD. Download the free European Medical Journal ADPKD Pain Study and the latest version of the PKD Patient Handbook. I have known for decades that I had Autosomal Dominant Polycystic Kidney Disease (ADPKD) that I had inherited it from my mother Millie. She died in childbirth from one of the side effects of polycycsic kidney disease - an hemorrhage from a brain aneurysm. She died an hour after I was born. My father was devasted by my mother's death and mourned silently the rest of his life. I recently read my mother's death certificate and realized that my parents had only been married for only a year before she died. I have no siblings. Symptoms of my Autosomal Dominant Polycystic Kidney Disease did not begin appearing until I was 48 years old. I noticed that I woke up with a pain in my abdomen every morning. I thought that this was just a stomach ache, but after awhile I realized that the pain was from enlarged kidneys. At at least one of my daughters (Monica) inherited ADPKD. Monica is already dealing with other multiple, unrelated disabilities. In June 2013, Monica became ill from an infection in a hemorrhaging kidney cyst. Monica suffers from Autosomal Dominant Polycystic Kidney Disease, a genetic disease that she shares with her dad and grandmother. After the initial round of antibiotics did nothing, a second visit to the emergency room and a CT scan of her abdomen revealed the horrific condition. The test showed that a large mass including her left kidney had been developing. Surgery was scheduled for the following day. The large mass included her left kidney and part of the colon. The 4" x 10 " complex mass in her abdomen obliterated her left kidney and was removed. Monica survived the nephrectomy and stayed in intensive care at Backus Hospital for almost 5 weeks. The staff treated her very well and helped her survival. Monica's parents stayed with her day and night since Monica is unable to express her needs and discomfort. We found that a rise in heart rate correlated with increasing pain, prompting a request for pain killers. Recovery was excruciatingly slow and worrisome. For 2 weeks, she was unable to breath on her own so she was intubated. Fighting various infections was a constant battle. She was treated for sepsis, pneumonia, UTI, thrush, as well as the primary kidney infection. She was able to usually sleep comfortably, waking up for a couple minutes occasionally to either play or try to take her IV out. The IV was used to provide nutrition, antibiotics and other medications. Bless her sweet heart, she did now know how sick she was. We read to Monica or played her favorite music. A small raggedy anne doll was brought in to comfort her. Caregivers from Easter Seals visited her almost daily. Her sister Martha flew in from Denver to spend a week with her while she was recuperating in the ICU. After 3 weeks, the internal bleeding finally stopped. Vitals were getting closer to normal except for heart rate, which was about double normal. Remaining kidney was doing fine. She still had an NG tube, respiratory tube and IV in neck. Slowly they introduced small amounts of food in her stomach to see how her digestive system is working. She had 30 pounds of edema! After a month of intensive care, Monica was ready to come home. She is now doing fine and her remaining kidney is working normally. She takes meals via a G-tube because her swallow mechanism never quite got back to normal (because of the prelonged use of the respiratory tube while in the hospital), despite months of speech therapy. Almost every year, Monica, her sister Martha Price and I volunteer or contribute to the national PKD Walk Fundraiser for research - PKDcure. in association with the PKD Foundation. 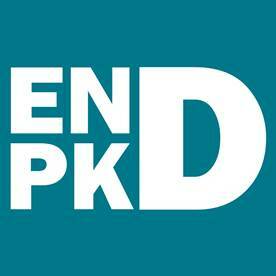 PKD affects more than 12.5 million individuals worldwide, making it the most common life-threatening genetic disease. There are more persons with PKD than the combined numbers of those with cystic fibrosis, Down's syndrome, hemophilia, muscular dystrophy, and sickle cell anemia. The advances made in Polycystic Kidney Disease (PKD) research in the past few year have been spectacular and are laying the foundation for clinical trials of possible treatments in the near future. PKD advocates express their concern that research funding levels are inadequate and threaten the momentum generated by the promising research progress of the last year. They discussed the need for funding commensurate with the impact of the disease that afflicts approximately 600,000 Americans and costs the federal government $1.5 billion a year. In addition, the advocates pointed out that PKD affects 20 times the number of people as cystic fibrosis, yet receives only one-tenth the federal funding. It also receives less funding than Lyme disease, a condition that is not fatal and affects 45 times fewer people. ADPKD equally affects men and women, regardless of age, race, or ethnic origin. It typically expresses itself in adults when they are in the prime of life. ARPKD strikes children at birth and is often fatal. In the 18th and 19th Centuries, PKD was often given the label of Bright's disease. This term encompassed any of several kidney diseases marked by high concentrations of protein in the urine. Autosomal Dominant Polycystic Kidney Disease is a disorder in which many clusters of cysts develop primarily within your kidneys. Cysts are noncancerous (benign), round sacs that contain water-like fluid. They vary in size from tiny sacs to sacs large enough to hold several quarts of fluid. How do the cysts grow? Cysts grow because there is a defective gene which causes abnomal growth of the epithelial cells in the kidney nephrons (filtering units inside the kidney) until a cyst develops .The cysts eventually separate from the nephrons and continue to enlarge. Over time healthy kidney tissue is replaced by cysts and we lose kidney function. The rate of cell growth and cyst formation can be affected by several factors but it has not yet been proven that caffeine is responsible for cyst growth in humans .A study (2001) in rats, where the rats were given the equivalent of 9 cups of coffee a day, suggested that caffiene might make cysts grow. A later study in humans (2012) found no correlation between caffeine and cyst growth although it recommended further human studies studies. Caffeine does has a negative effect on BP which can affect chemical pathways leading to kidney damage and that is the primary reason why we should not drink too much of it . The genetic mutation can cause abnormal growth in the epithelial cells and cyst development in other organs like the liver, pancreas, spleen, testes and ovaries. It is possible to have ovarian cysts that are unrelated to our PKD, either due to an hormone imalance or due to a different gentic condition called polycystic ovarian syndrome (PCOS). Having a benign kidney cyst is common. At least half the Americans older than age 50 have one or more kidney cysts. A benign, simple kidney cyst doesn't require treatment. And having one or more kidney cysts doesn't mean you have Autosomal Dominant Polycystic Kidney Disease. Autosomal Dominant Polycystic Kidney Disease isn't limited to your kidneys, although the kidneys usually are the most severely affected organs. The disease can cause cysts to develop in your liver, pancreas, membranes that surround your brain and central nervous system, and seminal vesicles. Other complications may occur as well. The greatest risk for people with Autosomal Dominant Polycystic Kidney Disease is high blood pressure (hypertension) that develops as a result of their kidney disease. Complications from hypertension are the leading cause of death in people with this disease. Kidney failure also is common with Autosomal Dominant Polycystic Kidney Disease. Autosomal Dominant Polycystic Kidney Disease affects between one in 400 and one in 1,000 people born in the United States. About 600,000 people in the United States have polycystic kidney disease. Abnormal genes are the cause, and there's no way of preventing or reversing the development of kidney cysts in affected people. But the disease varies greatly in its severity, and some complications are preventable. Regular checkups can lead to treatments to reduce damage to your kidneys from complications such as high blood pressure. Autosomal Dominant Polycystic Kidney Disease (ADPKD). Signs and symptoms of this form often develop between the ages of 30 and 40. In the past, this type was called adult Autosomal Dominant Polycystic Kidney Disease. The illness does manifest itself in children in a small number of cases. Only one parent needs to have the disease in order for it to pass along to the children. If one parent has ADPKD, each child has a 50 percent chance of getting the disease. This form accounts for about 90 percent of cases of Autosomal Dominant Polycystic Kidney Disease. Autosomal recessive polycystic kidney disease (ARPKD). This form is far less common than ADPKD, occurring only in one in 10,000 people in the United States. The signs and symptoms often appear shortly after birth. Sometimes, symptoms don't appear until later in childhood or during adolescence. Both parents must have abnormal genes to pass on this form of the disease. If both parents carry the genes for this disorder, each child has a 25 percent chance of getting the disease. Research has identified at least three genes that may be responsible for ADPKD and one gene that may be responsible for ARPKD. About one person in 10 with polycystic kidney disease has no family members with the disorder. In these cases, instead of inheriting a defective gene, the gene spontaneously mutates, causing polycystic kidney disease. It's not uncommon for people to have Autosomal Dominant Polycystic Kidney Disease for years without developing signs or symptoms and without knowing they have the disease. If you exhibit some of the signs and symptoms of Autosomal Dominant Polycystic Kidney Disease, which include high blood pressure, an increase in the size of your abdomen, blood in your urine, back or side pain, or kidney stones, see your doctor to determine what might be causing them. If you have a first-degree relative — parent, sibling or child — with ADPKD, see your doctor to discuss the pros and cons of screening for this disorder. Several diagnostic methods are available to detect the size and number of cysts as well as to evaluate the amount of healthy kidney tissue. Ultrasound examination. This is the most common diagnostic method. A wand-like device called a transducer is placed on your body. It emits inaudible sound waves that are reflected back to the transducer — like sonar. A computer translates those reflected sound waves into a moving image of your kidneys. Computerized tomography (CT) scan. As you lie on a movable table, you're guided into a big doughnut-shaped device that passes very thin X-ray beams through your body. Your doctor is able to see your kidneys in two-dimensional "slices." Magnetic resonance imaging (MRI) scan. As you lie inside a large cylinder, magnetic fields and radio waves generate cross-sectional views of your kidneys. Genetic testing. Gene linkage analysis involves special blood tests for you and for at least three family members who are known either to have or not to have Autosomal Dominant Polycystic Kidney Disease. Then, the results of your blood tests are compared with the results of the tests of your family members. Because this test is so expensive, it's often only used when one family member is considering donating a kidney to another family member. High blood pressure is a common complication of ADPKD. As many as 70 percent of people with ADPKD develop high blood pressure. Untreated, high blood pressure can cause further damage to your kidneys and increase your risk of heart disease and stroke. A serious complication of Autosomal Dominant Polycystic Kidney Disease is progressive loss of kidney function. About 50 percent of people with the disease will have kidney failure by age 60, and about 60 percent will have kidney failure by age 70. Autosomal Dominant Polycystic Kidney Disease causes your kidneys to gradually lose their ability to eliminate wastes from your blood and maintain your body's balance of fluids and chemicals. As the cysts enlarge, they produce pressure and promote scarring in the normal, unaffected areas of your kidneys. These effects promote high blood pressure and interfere with the ability of your kidneys to keep wastes from building to toxic levels, a condition called uremia. Kidney failure and subsequent uremia can cause itching, nausea and loss of appetite. Left untreated, this toxic buildup of waste products and fluid can lead to congestion of your lungs, coma or even death. The disease may also result in your kidneys producing less erythropoietin — a growth factor for red blood cells. Less erythropoietin results in decreased bone marrow production of red blood cells. Fewer red blood cells (anemia) mean you have less iron-rich hemoglobin to carry oxygen from your lungs through your bloodstream to the rest of your body. As the disease worsens, end-stage kidney (renal) failure may result. When end-stage renal failure occurs, you'll need ongoing kidney dialysis or a transplant to prolong your life. Most women — up to 80 percent — with Autosomal Dominant Polycystic Kidney Disease can have an uneventful pregnancy. Others may develop a life-threatening disorder called pre-eclampsia. Those most at risk are women who have high blood pressure before they become pregnant. Growth of cysts in your liver. The likelihood of developing liver cysts for someone with ADPKD increases with age. About two-thirds of people with ADPKD will develop liver cysts at some point in their lifetime. While both men and women develop cysts, women often develop larger cysts and get them at an earlier age. Cyst growth appears to be aided by female hormones. They're more frequent in women who've been pregnant. Development of an aneurysm in your brain. Localized enlargement of an artery in your brain can cause a hemorrhage if it ruptures. Aneurysms tend to run in families and are present in between 5 percent and 10 percent of people with ADPKD. Heart valve abnormalities, such as aortic regurgitation. Hernias, and pouches or sacs in the wall of the colon (diverticulosis). High blood pressure. Controlling high blood pressure may delay the progression of the disease and slow further kidney damage. Combining a low-sodium, low-fat diet that's moderate in protein and calorie content along with eliminating smoking, increasing exercise and reducing stress may help control high blood pressure. However, you usually also need medications to control it. Pain. Chronic pain, usually located in your back or your side, is a common symptom of Autosomal Dominant Polycystic Kidney Disease. Often, the pain is mild and you can control it with over-the-counter medications containing acetaminophen. For some people, however, the pain is more severe and constant. In some cases, your doctor may recommend surgery to remove cysts if they're large enough to cause pressure and pain. Bladder or kidney infections. Prompt treatment of infections with antibiotics is necessary to prevent kidney damage. Blood in the urine. You'll need to drink lots of fluids as soon as blood in the urine is noted, in order to dilute the urine. Dilution may help prevent obstructive clots from forming in the urine. Bed rest also may help decrease the bleeding. Complications of cysts. Rarely, when kidney cysts cause chronic, severe pain or obstruction of other organs or veins, you may need to undergo surgery to drain the cysts. Kidney failure. If your kidneys lose their ability to remove wastes and extra fluids from your blood, you'll eventually either need dialysis or a kidney transplant. Liver cysts. Nonsurgical management of liver cysts includes avoidance of hormone replacement therapy. Other options in rare cases include drainage of cysts if they're not too numerous, partial removal of the liver, or even liver transplantation. Aneurysms. If you have ADPKD and a family history of ruptured intracranial aneurysms, your doctor may recommend regular screening for aneurysms. If an aneurysm is discovered, surgical clipping of the aneurysm to reduce the risk of bleeding may be an option, depending on its size. Nonsurgical treatment of small aneurysms may involve controlling high blood pressure and elevated plasma levels of lipids — fats and fat-like substances — and smoking cessation. As is the case with other chronic illnesses, having Autosomal Dominant Polycystic Kidney Disease may make you feel overwhelmed or helpless. But you don't have to deal with your illness alone. The support of friends and family is important in dealing with a chronic illness. In addition, a counselor, a psychologist, a psychiatrist or a clergy member may be able to help. You may also want to consider joining a support group. Although support groups aren't for everyone, they can provide helpful information about treatments and coping. And being with people who understand what you're going through may make you feel less alone. Ask your doctor about support groups in your community. If you use Facebook, check out the Cysterhood,The Fight to Stop PKD and Living with PKD for information and social interaction with others with Polycystic Kidney Disease. Dietary strategies play an important role in alleviating the symptoms of renal failure or "uremia" and may, in fact, slow the progression toward renal failure as well. In light of this information, it is important to understand how nutrients play a role in maintaining a healthy "internal milieu" in a patient with kidney disease. There are six general classes of nutrients that are essential components of a healthy diet, whether or not one is nearing renal failure: Proteins, Fats, Minerals, Carbohydrates, Vitamins, Water. These nutrients are needed by all people, but for those on renal diets, the requirements may need to be adjusted. It is important, then, to learn how specific nutrients interact with kidneys, cysts, blood pressure, etc., and then learn how to make the necessary adjustments for an individual situation. Salty foods can increase the retention of fluid.Even a small reduction in the amount of salt can reduce the blood pressure to a considerable extent.Ideally,the daily sodium intake should be not be more than 24oomg/day limiting the salt intake to 6g/day. Keep far away from salty foods like pickles, salted eggs, bacon, vegetables that come in cans and sauces like ketchup and soy sauce. The canned foods like canned fruits and vegetables are loaded in salt so they should be restricted. Before eating canned foods, you should rinse or boil them to get rid of extra salt. Processed foods should be avoided in ADPKD and high blood pressure as they are high in salt, preservatives, and fats. Also, ready-to-eat foods should also be limited and even avoided. Alkaline foods are good for ADPKD. Try to go vegetarian as much as possible. The patients with ADPKD and high blood pressure should avoid drinking alcohol.On one side,alcohol can damage the artery giving rise to hardening and marrowing of the arteries.On the other hand, it can stimulate the growth of the renal cysts. Avoid alcohol, strong tea, coffee and any caffeine-containing drinks because caffeine can promote the cell proliferation and secretion of cystic fluids. Caffeine products should be avoided in ADPKD and high blood pressure. It can narrow arteries to rise blood pressure further and also it can worsen the renal function. Foods with high protein usually are not suggested for Autosomal Dominant Polycystic Kidney Disease patients. When our body breaks down protein, waste product called urea will be produced, which need our kidneys to discharge. Therefore, eating too much foods with high protein means increase renal burden. Generally speaking, 0.8 grams of protein per kilo of body weight is ok. However, as the basic of our body, protein is essential for our daily life, that is to say, ADPKD patients can not limit protein strictly. Under such a condition, high quality protein can be ingested to meet the daily demand of body. High quality protein is usually contained by lean meat, egg white and fish and so on. Kidney is responsible for keeping balance of sodium, potassium, calcium and phosphorous. Due to ADPKD, the kidneys may lose its ability to work. Therefore, ADPKD patients suffer from electrolyte disturbance more easily. Honey contains a lot of unsaturated fatty acid such as arachidonic acid, linolenic acid which have a lot of benefits for controlling blood pressure---dilating blood vessels, increasing elasticity of the blood vessels, blood purification, reducing blood viscosity and enhancing blood activity. What is more, honey can prevent the formation of lipid peroxide and deposition of cholesterol on the vessel wall so as to maintain smoothness of blood circulation and control high blood pressure. Add lemon juice to the water. Some fruit or vegetable juice is also suitable for these patients. For example, cranberry juice and carrot juice, containing rich vitamin C, can help improve kidney function and increase the rate of kidney filtering creatinine and blood urea nitrogen, so as to lower high creatinine level and high BUN level. Flax seed oil has also been show to help ease the symptoms of ADPKD. Flax oil is an excellent source of a group of fatty acids (omega-3-fatty acids) that are thought to have anti-hypertensive, lipid-lowering and anti-inflammatory effects. All of these benefits can help with Autosomal Dominant Polycystic Kidney Disease. Flax seed oil, which has been show to help ease ADPKD symptoms. Red bell peppers are low in potassium and high in flavor, but that’s not the only reason they’re perfect for the renal diet. These tasty vegetables are also an excellent source of vitamin C and vitamin A, as well as vitamin B6, folic acid and fiber. Red bell peppers are good for you because they contain lycopene, an antioxidant that protects against certain cancers. A cruciferous vegetable, cabbage is packed full of phytochemicals, chemical compounds in fruit or vegetables that break up free radicals before they can do damage. Many phytochemicals are also known to protect against and fight cancer, as well as foster cardiovascular health. Sulforaphane, a phytochemical in cruciferous vegetables, may prevent or stop cancer cell growth in lung, colon, breast, bladder, prostate and ovarian cancers. High in vitamin K, vitamin C and fiber, cabbage is also a good source of vitamin B6 and folic acid. Low in potassium and low in cost, it’s an affordable addition to the kidney diet. Another cruciferous vegetable, cauliflower is high in vitamin C and a good source of folate and fiber. It’s also packed full of indoles, glucosinolates and thiocyanates — compounds that help the liver neutralize toxic substances that could damage cell membranes and DNA. Serve it raw as crudités with dip, add it to a salad or steam or boil it and season with spices such as turmeric, curry powder, pepper and herb seasonings. You can also make a nondairy white sauce, pour it over the cauliflower and bake until tender. You can pair cauliflower with pasta or even mash cauliflower as a dialysis diet replacement for mashed potatoes. Garlic helps prevent plaque from forming on your teeth, lowers cholesterol and reduces inflammation. Buy it fresh, bottled, minced or powdered, and add it to meat, vegetable or pasta dishes. You can also roast a head of garlic and spread on bread. Garlic provides a delicious flavor and garlic powder is a great substitute for garlic salt in the dialysis diet. Onion, a member of the Allium family and a basic flavoring in many cooked dishes, contains sulfur compounds which give it its pungent smell. But in addition to making you cry, onions are also rich in flavonoids, especially quercetin, a powerful antioxidant that works to reduce heart disease and protects against many cancers. Onions are low in potassium and a good source of chromium, a mineral that helps with carbohydrate, fat and protein metabolism. For people on a kidney diet looking to add more flavors to foods, try using a variety of onions including white, brown, red and others. Eat onions raw on burgers, sandwiches and in salads, cook them and use as a caramelized topping or fry them into onion rings. Include onions in recipes such as Italian Beef with Peppers and Onions. These tangy, tasty berries are known to protect against bladder infections by preventing bacteria from sticking to the bladder wall. In a similar way, cranberries also protect the stomach from ulcer-causing bacteria and protect the lining of the gastrointestinal (GI) tract, promoting GI health. Cranberries have also been shown to protect against cancer and heart disease. Cranberry juice and cranberry sauce are the most frequently consumed cranberry products. You can also add dried cranberries to salads or have them as a snack. Blueberries are high in antioxidant phytonutrients called anthocyanidins, which give them their blue color, and they are bursting with natural compounds that reduce inflammation. Blueberries are a good source of vitamin C; manganese, a compound that keeps your bones healthy; and fiber, and may also help protect the brain from some of the effects of aging. Antioxidants in blueberries and other berries have been shown to help slow bone breakdown in rats made to be low in estrogen. Buy blueberries fresh, frozen or dried, and try them in cereal, topped with whipped topping, in a fruit smoothie or bake blueberry muffins, blueberry cake as blueberry crisp or blueberry pie. You can also drink blueberry juice. Raspberries contain a phytonutrient called ellagic acid which helps neutralize free radicals in the body to prevent cell damage. They also contain flavonoids called anthocyanins, antioxidants which give them their red color. An excellent source of manganese, vitamin C, fiber and folate, a B vitamin, raspberries may have properties that inhibit cancer cell growth and tumor formation. Add raspberries to cereal, puree and sweeten them to make a dessert sauce or add them to vinaigrette dressing. You can also drink raspberry punch. Red grapes contain several flavonoids that give them their reddish color. Flavonoids help protect against heart disease by preventing oxidation and reducing the formation of blood clots. Resveratrol, a flavonoid found in grapes, may also stimulate production of nitric oxide which helps relax muscle cells in the blood vessels to increase blood flow. These flavonoids also provide protection against cancer and prevent inflammation. Phytochemicals in grapes, wine and grape juice have been extensively studied since the discovery that the French have much lower rates of heart disease despite a diet high in saturated fat. Buy grapes with red or purple skin since their anthocyanin content is higher. Freeze them to eat as a snack or to quench thirst for those on a fluid restriction for the dialysis diet. Add grapes to a fruit salad or chicken salad. You can also drink them as grape juice or grape punch. Buy powdered, fresh or pasteurized egg whites. Make an omelet or egg white sandwich, add pasteurized egg whites to smoothies or shakes, make deviled egg snacks or add whites of hard boiled eggs to tuna salad or garden salad to add extra protein. Fish provides high-quality protein and contains anti-inflammatory fats called omega-3s. The healthy fats in fish help fight diseases such as heart disease and cancer. Omega-3s also help lower low-density lipoprotein or LDL cholesterol, which is bad cholesterol, and raise high-density lipoprotein or HDL cholesterol, which is good cholesterol. The American Heart Association and American Diabetes Association recommend eating fish two or three times a week. Fish highest in omega-3s include albacore tuna, herring, mackerel, rainbow trout and salmon. Olive oil is a great source of oleic acid, an anti-inflammatory fatty acid. The monounsaturated fat in olive oil protects against oxidation. Olive oil is rich in ployphenols and antioxidant compounds that prevent inflammation and oxidation. Studies show that populations that use large amounts of olive oil instead of other oils have lower rates of heart disease and cancer. Buy virgin or extra virgin olive oil because they are higher in antioxidants. Use olive oil to make salad dressing, in cooking, for dipping bread or for marinating vegetables. Reduce stress in your life: Stress causes cysts to grow faster by elevating adrenaline. Avoid inflammation: Anything that causes inflammation in the kidney can accelerate the growth of cysts in ADPKD. Eat a (mostly) vegetarian diet high in antioxidants: Diets based on plant proteins help lower blood pressure and may help slow the growth of kidney cysts. Animal studies have demonstrated that a low protein diet helps slow the progression of ADPKD. Eat high fiber carbohydrates: Recent studies have found that people with ADPKD and other kidney diseases may be mildly or acutely insulin resistant. High insulin levels are linked with heart disease and possibly faster rates of ADPKD progression. Vitamins are an important source of energy and 13 have been established in essential dietary constituents for humans. Essential, in this setting, means that these compounds must be in the diet because the human body cannot manufacture them. These organic compounds are necessary for normal growth and play specific roles in maintaining health. For example, retinol (vitamin A) is required not only for growth and reproduction, but also vision. Some vitamins, such as C, A and E, will accumulate in patients with diminished or absent renal function. Check with your nephrologist FIRST! Vitamin C intake should not exceed 150-200 mg/day in patients with renal insufficiency. Excess intake results in accumulation of ascorbic acid metabolites, such as oxalate, and can predispose patients to deposition of calcium oxalate complexes in vessels and tissues. Vitamin A also accumulates in patients with renal dysfunction because the kidney is largely responsible for its catabolism (the process where an organism reconverts living material into simpler compounds). S well, binding proteins for vitamin A increase in renal failure, causing vitamin A to stay in the body for increasing periods of time. Excess vitamin A can lead to decreased blood counts and abnormalities in lipid and calcium metabolism. Adequate daily fluid intake is a requirement for all patients and particularly patients with ADPKD. Very early in the course of the disease, ADPKD patients lose the ability to concentrate their urine. This means that the kidneys in patients with ADPKD cannot hold on to or reabsorb water as well as other individuals. This defect is mild; nonetheless, if ADPKD patients do not have access to liquids, particularly during heavy exercise of extreme heat, significant dehydration can occur. The amount of fluid allowed in the diet of someone receiving dialysis depends on the amount of urine made and the type and frequency of dialysis employed. If one no longer urinates, then fluid intake is usually limited to one liter each day. The amount of fluid intake that is safe should be discussed with your nephrologist and your dialysis dietitian. Maintaining a healthy weight is important for many reasons, including protection of kidney function. Excess body weight can increase blood pressure and may lead to hormonal changes (hyperinsulinemia) that could possibly accelerate the progression of ADPKD. However, losing too much weigh or not using a healthful manner in doing so can cause other, possibly unintended complications. Before you take on any weight loss program you should consult your doctor. Good exercises for people with ADPKD include sports where impact is minimized. These include swimming, tennis, rowing, golf, biking and, to a lesser extent, jogging or running. Clearly one's desire for a certain sport needs to be considered when recommendations about choosing a sport are made. In general, most sports do not affect kidney function. Specifically to ADPKD, there are some issues that need to be addressed with regard to the type of exercise. Given the unique nature of ADPKD, where kidneys are enlarged and cysts can easily rupture, there are some simple precautions to take. Contact sports where the kidneys may be traumatized (flank or lower-back impact) should either be avoided or protective pads should be worn. Examples of these types of sports include football, rugby, basketball, hockey and particularly boxing or kickboxing. Horseback riding and cross-country biking are other sports where repetitive impact has resulted in hematuria or blood in the urine, in individuals with ADPKD. For those with ADPKD who are otherwise healthy, moderate alcohol intake is okay, but please limit to two drinks per day for men and one drink per day for women. The ability to work can vary greatly between individuals. Much of it depends on what type of work a person does and how far their ADPKD has advanced. For example, individuals who have jobs which require moderate to strenuous physical work may find it more difficult to perform their tasks as their ADPKD advances. However, even those who have positions which require less or little physical activity may also experience challenges performing their job based on how their body is reacting to ADPKD. Much of it comes down to your ability to function affectively in your position while dealing with the changes occurring in your body. Your choice to disclose to your employer that you have ADPKD could have an impact on your work. In some instances, it may help provide more support. In others, it could unfairly affect your career opportunities. The legal requirements in relation to disclosure vary. You should check with your state's Department of Labor to learn more about the situation in your area. "What your doctor won't tell you about Polycystic Disease but you should really know" will help you to understand changes that you will go through and how to take care of yourself. This is a must-read for anyone diagnosed (or friends and family of someone with ADPKD).